Freebielist.com is a nice site that provides a regular roundup of fresh freebies in the UK, including free product samples, vouchers, free online services, competitions as well as money saving advice. With an ever-growing directory of free stuff, the site functions on all devices and provides quality, accurate reviews of genuine free products on the Web. Be prepared to spend a lot of time here as there are hundreds of nice freebies and deals to check out. Freebielist.com is a great UK freebie site with a nice variety of free stuff, free samples, vouchers, competitions and more. 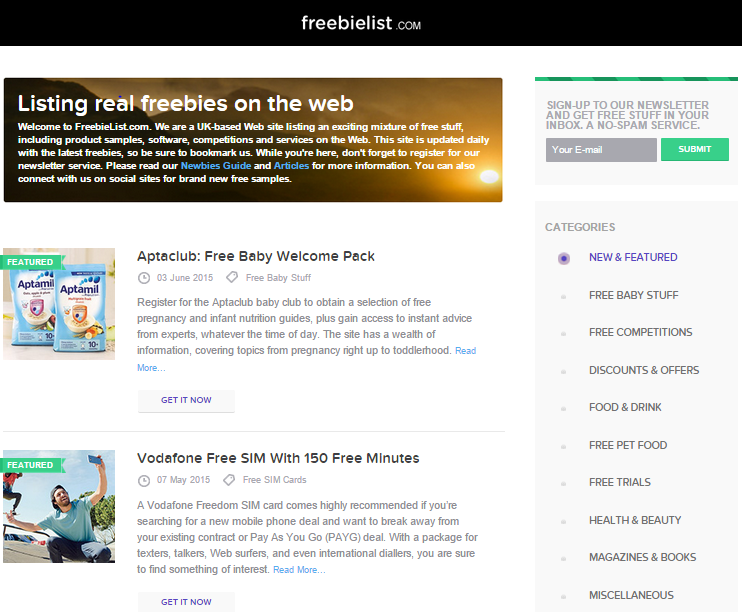 If you like to save money and love freebies then you will also love Freebielist.com.